We are really excited to announce the new 2.0 release of our Bryntum Grid component, lots of new stuff and a slew of bug fixes included. This blog post describes the bigger changes, for full details please see the change log. While yet not available on NPM, you can now install Grid as a local NPM package from the downloaded sources. This makes integrating it with frameworks much easier and our framework demos has been updated with the new approach. We have created a slick new default theme for Grid, called “Stockholm”. Like the city itself we strived for a clean and modern look, hope you like it! Previously the grid allowed just two regions, a locked left hand side region and a flexed center region. 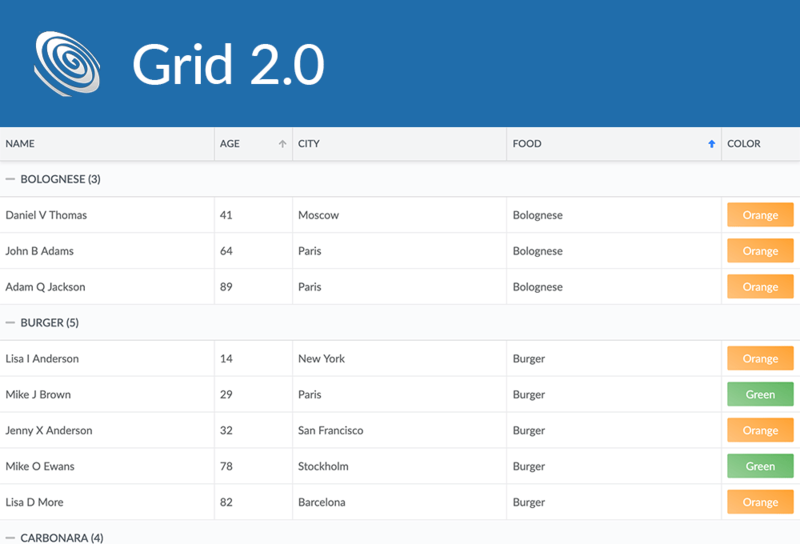 Now you can define the regions yourself, allowing any number of sub grids, although we have not really got any use case for more than three 🙂 Check it out in this new demo. Small disclaimer: Please note that all features are not guaranteed to work with more than three regions. A new feature called RowReorder was added. 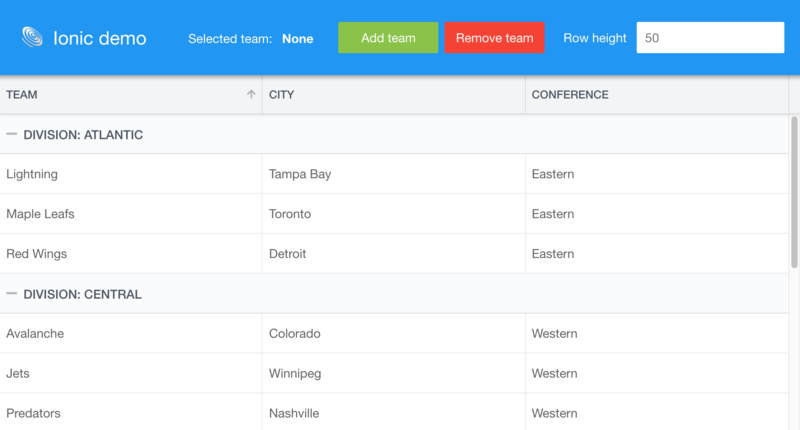 Enable it to allow drag and drop reordering of rows, try the demo here. We rebuilt the tree support in our Store. It now works more like you would expect, the tree has a root node (hidden when rendered) and manipulations should be made on the tree nodes rather than on the Store (instead of store.add(), use node.appendChild() etc). Grid now renders on paint instead of on render. This should only matter if you are using the Grid inside one of our containers (for example our TabPanel), in which case it is rendered when shown instead of directly. The AjaxHelper (the server communication class used by AjaxStore) was completely overhauled and is now a thin wrapper of the native Fetch API. If you were using AjaxHelper you should review your code and adapt it according to the new API docs. For full details please see the change log.